Here at Golf Monthly we often lament the fact that a quality golf novel pops up about as often as Pete Doherty stays out of rehab. Luckily, East Sussex?s Alec Wright has heard our pleas with his excellent golf murder-mystery novel Double Hit. We recommend that Wright?s debut novel occupy a place on every golf enthusiast?s bookshelf, which is why we?re giving away two copies of ?Double Hit? as our latest Book of the Week entry. Double Hit centres around Paul Calvert, who has recently taken a job as secretary of Penford Heath Golf Club, a small country club with a great deal of mysterious members. Murder, controversy and romance all abound at the club over the course of this gripping 279-page yarn that reads like the work of seasoned fiction writer. Honestly, what more could anyone want in a novel? Don?t miss out on your opportunity to win one of the best golf novels we?ve read in ages. 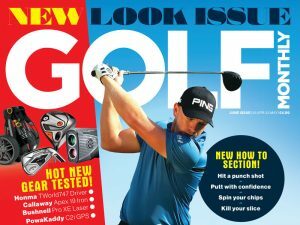 Just don?t say we didn?t warn you when you?re reading Double Hit instead of hitting the practice range.